Jennifer King worked as an assistant wide receivers coach for the Arizona Hotshots before AAF shuttered. CHARLOTTE, N.C. -- Jennifer King knows a thing or two about risks. She had to draw her gun several times while working as an officer with the police department in High Point, North Carolina. So in January, when she quit her job as the women's basketball head coach at Johnson & Wales University in Charlotte and moved across the country to become an assistant coach in the Alliance of American Football, it didn't feel like a risk. "As a police officer you've seen and done a lot of things people wouldn't imagine, so nothing is going to happen in this football thing that is too big for me just because of the things I've already encountered," King said. 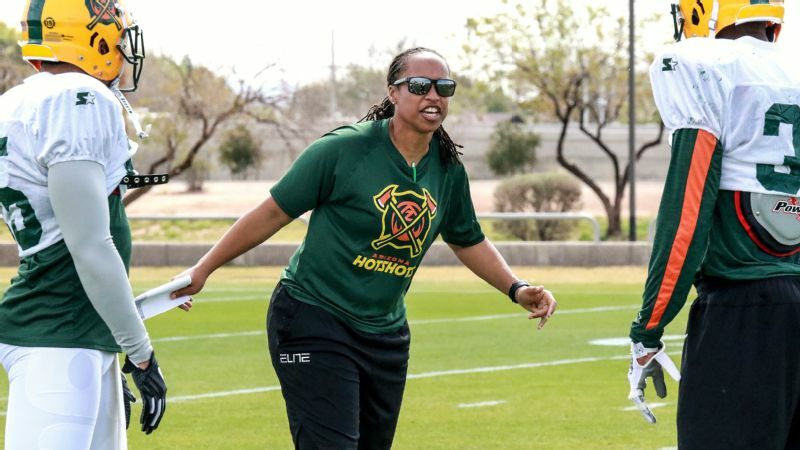 King, who was an assistant receivers coach for the Arizona Hotshots, was one of three women who were assistant coaches in the league, along with Jen Welter (Atlanta Legends) and Lori Locust (Birmingham Iron). And even though the AAF shut down eight games into the season, King still believes it was a good career move. "Absolutely no regrets," King said. "The experience I got and people I met, it was definitely worth it. I'm excited to see what's next." The AAF opportunity could lead to something more. 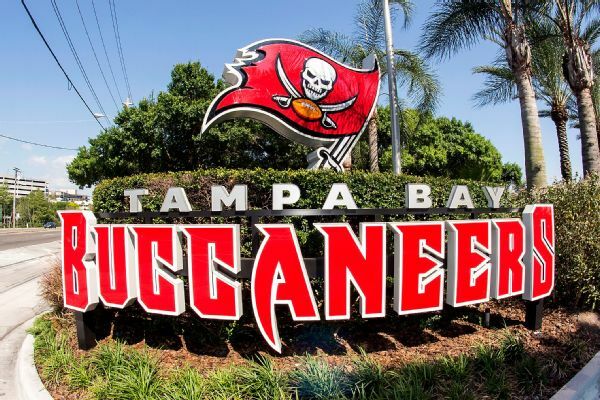 Tampa Bay Buccaneers coach Bruce Arians in March hired Locust to be an assistant defensive line coach, making her and assistant strength coach Maral Javadifar the first pair of full-time female assistants on an NFL team. Kathryn Smith became the first full-time female assistant coach when the Buffalo Bills hired her in 2016 as their special-teams quality-control coach. Welter in 2015 became the first female coaching intern in NFL history when Arians hired her to coach inside linebackers during training camp and the preseason. "It shows the growth and how the process is starting to mature a little bit, women in coaching," King said. Arians said last week at the NFL owners meetings in Phoenix that he looked forward to the day when hiring a female coach didn't make headlines. "It's time, and I'll be happy when it's not news anymore," Arians told ESPN's Jenna Laine. "That's where it should be heading. They're what we need. The fact that their gender's different, who gives a s---?" Welter agreed, saying Arians had shown with her hiring that female coaches at the highest level of football "could work." "Football, which is considered the final frontier in all sports, it's kind of caught up and we're starting to get those experiences," she said. 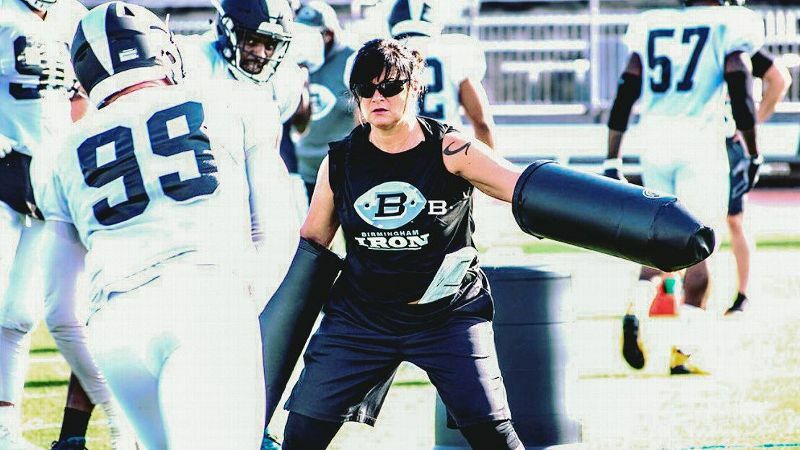 The AAF set out to be a proving ground for female coaches. Charlie Ebersol, who along with Bill Polian co-founded the league, made hiring women a priority. He put former NFL star wide receiver Hines Ward in charge of the project. "For me it was a challenge because I'd never worked with a female on the field ever in my career," said Ward, a four-time Pro Bowl wide receiver with the Pittsburgh Steelers during his 14-year NFL career (1998-2011). "So me doing the interview process was challenging. "Through the process, man, I was just in awe about the football IQ." All three women played football on some level, which gave them instant credibility, not only with Ward but with players. King, for example, played wide receiver for the New York Sharks of the Women's Football Alliance. "One hundred percent credibility," said wide receiver Rashad Ross, who had King as his assistant position coach at Arizona and now has a contract with the Carolina Panthers after leading the AAF in touchdown receptions (seven). "She's been through what we've been through. It's different learning by the book and actually playing and actually going through it, understanding how players feel when they're hurting and not hurting, when they're frustrated. "When things weren't going right, she was good at keeping my head in the game and understanding it." King delivered the news that the league was folding to Ross, who was in California taking care of his ill father. Ross credits King with getting him another shot in the NFL. Panthers coach Ron Rivera asked King about Ross at the owners meetings. Ross hopes the hiring of Locust and other female coaches creates a domino effect in the NFL. "[King's] knowledge of the game was impressive," said Ross, who never had a female coach before the AAF. "It's a double standard when it comes to sports with females and men." 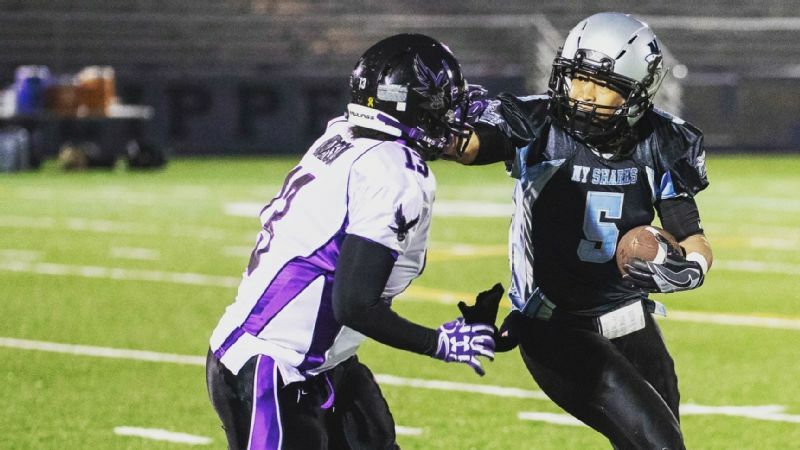 Jennifer King earned a measure of respect from players because she played for the New York Sharks of the Women's Football Association. King thought one of her "funny friends" was playing a prank when she got the initial email from Ward. She quickly learned it wasn't, and didn't hesitate to leave her job at Johnson & Wales -- a year removed from winning a national championship in the small-college USCAA -- to join Rick Neuheisel's Arizona staff. "I was very comfortable where I was," King said. "But this was an amazing opportunity for me to push myself and get out of that comfort zone." This wasn't the first time King left a job to pursue coaching opportunities. She quit the police force to join the Greensboro College basketball staff and left that job during a run to the Sweet 16 of the Division III NCAA tournament to take the head-coaching job at Johnson & Wales. Those decisions impressed Neuheisel and showed "she's a coach." King, who returned to North Carolina last week to plan her next steps, sees this as the beginning of her football coaching journey. The Carolina Panthers, who hired her as a coaching intern last offseason, could be a landing spot. "I plan to stay in football," King said. "I can make that happen. ... I learned early in this coaching game you can chase money if you want, but it will cost you happiness." Locust didn't begin playing until her 40s and spent much of her football coaching career working for little to nothing just to pursue her love. "People like me and Jen King ... we're trying to do this for the long haul," she said. "This isn't a publicity stunt, something we're trying to get into for notoriety or fame. We just really want to coach and be good at it. "It might have taken a little bit longer, but right now the openness to talk to a woman candidate has become where people's minds have come to." Ward is fairly certain female coaches "wouldn't have been received too well" when he was a player. He credits other professional sports teams -- such as the San Antonio Spurs, who in 2014 hired Becky Hammon to be the first full-time female assistant -- for opening eyes. Ward's hope is that one day soon a woman will get the opportunity to be a full-time position coach and not be just an assistant. "Females can get the job done just as well as men," Ward said. "Because I had never worked with a female coaches on the field, I was a little hesitant going into interviews making sure I wasn't overbearing. "The more we talked about X's and O's and what they're passionate about in the game, five years from now where we want to be, I was all for it."